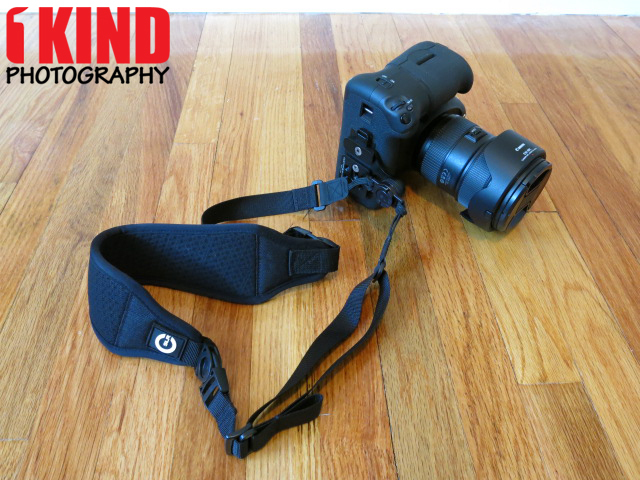 Overview : A camera strap that does more with less. This breathable strap is a lightweight, versatile and comfortable alternative to traditional straps. Designed with you in mind, the Air Strap is made for anyone -- not just professional photographers -- who wants an easy-to-use strap that can adapt to different situations. With its unique quick-adjust slider, you can keep your camera secure at your side to maneuver through crowds and tight spaces; when you need to take a photo, just pull and slide to extend the strap. 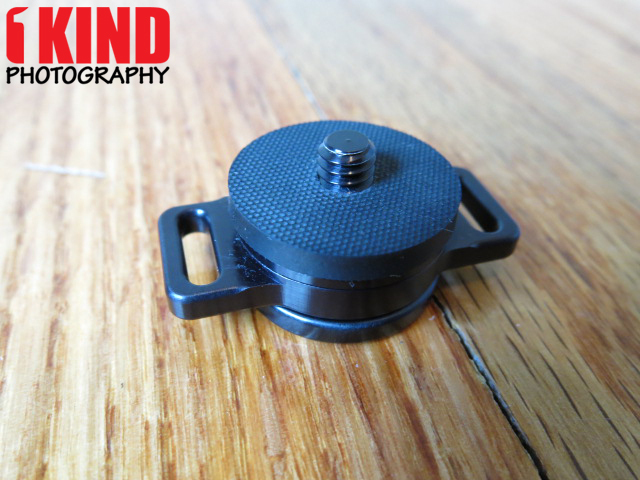 Quick-adjust slider lets you keep your camera secure at your side. When you need to take a photo, just pull and slide. ider strap and ergonomic design distribute weight evenly, making your load feel lighter. Cushy neoprene padding absorbs shock for maximum comfort. 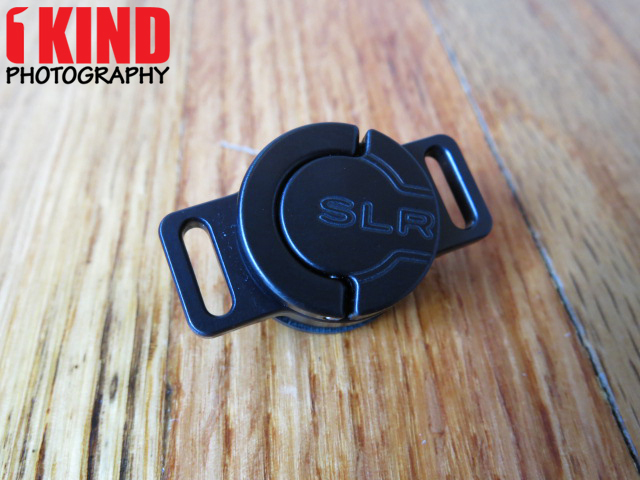 Quality/Usability : We've been a big fan of Custom SLR products. They're really comfortable and great quality. When Custom SLR announced their Air Strap project on Kickstarter, we had no doubt that it would be a success. 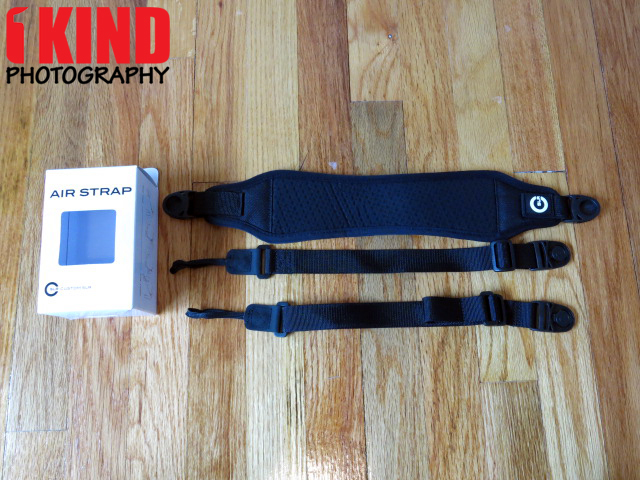 We've reviewed their Split Strap and Glide Strap, but the Air Strap seems to take a page out of both straps. It takes the camera strap attachment from the Split Strap, the gliding concept from the Glide Strap and the swivel buckle from both straps. There's not much that comes with the Air Strap. It comes with two camera strap attachments and the Air Strap padding. One thing we did notice was how light the strap was. One of the differences is the neoprene padding. No more split down the middle and the new Air Strap is a lot more breathable. 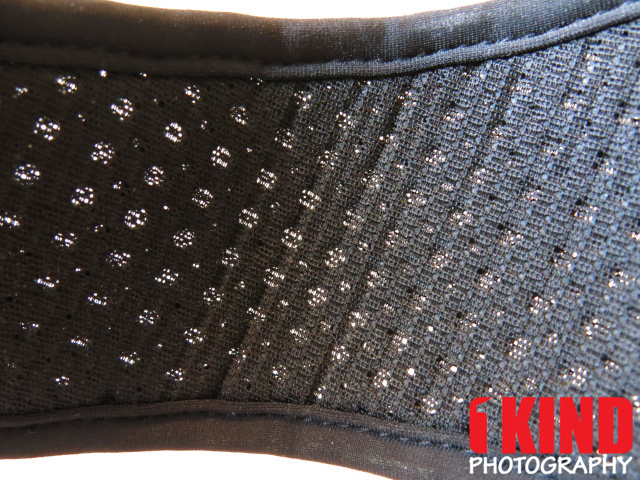 It still has that elastic and stretch factor so it will contour your shoulder and distribute the weight. 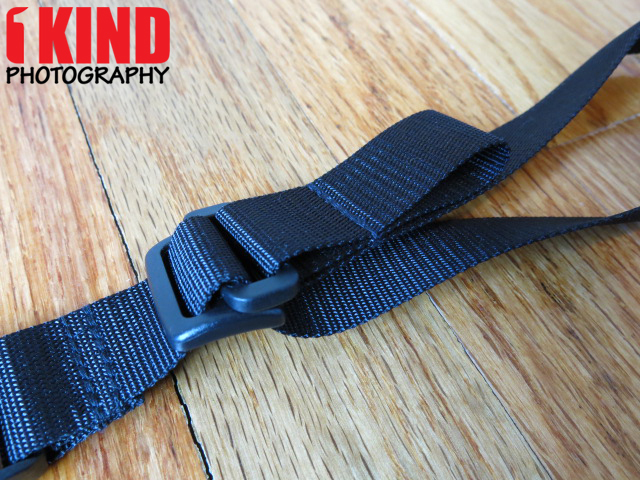 The swivel buckles are the same as the Sling Strap and Glide strap. The buckles swivel so the strap can stay in place while the strap attachments contours the body. Another new feature is the cinch or the quick-adjust slider. When you're not using the camera, you can pull on the tap up to tighten the strap. By tightening the strap, the camera sits closer to your body. When you need to use the camera, simply pull the tab down which lengthens the strap allowing you to pull the camera up to take a picture. 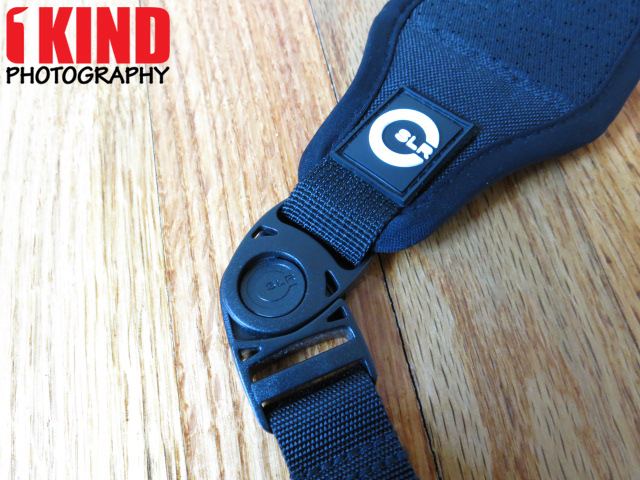 With the Glide strap, the camera glides smoothly along the strap and the neoprene padding stays on your shoulder. With the Air Strap, their is no gliding but rather it lengthens the strap so that there is more slack. 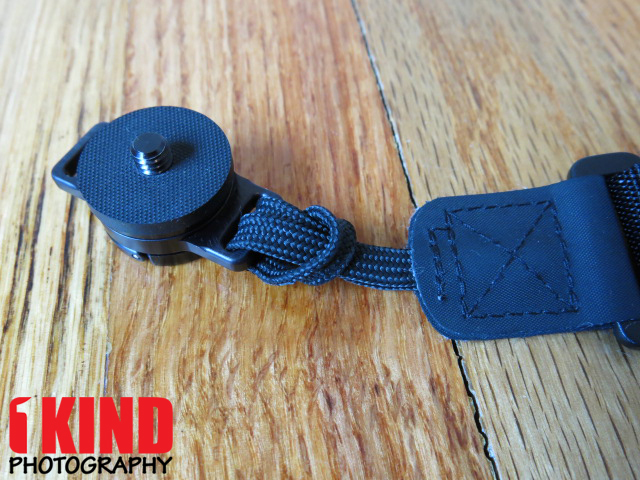 The strap rotates towards your back when you bring the camera up to take a picture. I've used the Air Strap with a t-shirt as well as a suit and it does not tug or pull on your clothing. I've noticed its easier when you lift the camera up just a little and pull on the tab to lengthen the strap or pull up on the tab to shorten the strap. The installation concept is the same whether its for C-Loop or camera. 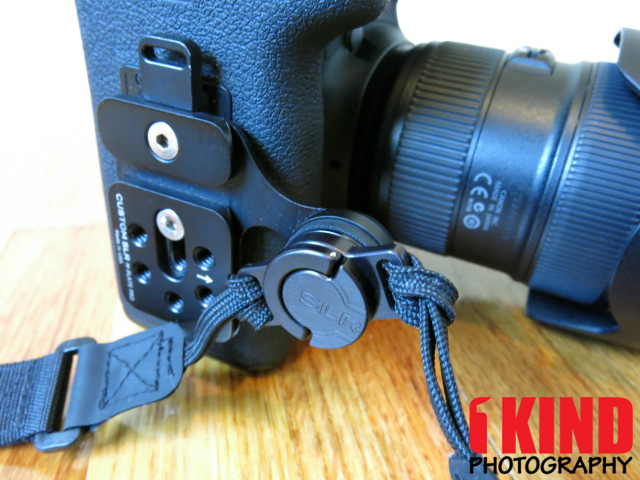 You're essentially sliding the loop end of the strap attachment through either the strap loop on the C-Loop or camera eyelet. Once its threaded through, you'll take the buckle end of the strap attachment and pull it through the loop and tighten it. This is called the "cow-hitch". You'll have to do the same thing to the other strap attachment. You can install the camera strap attachment multiple ways (videos also below). 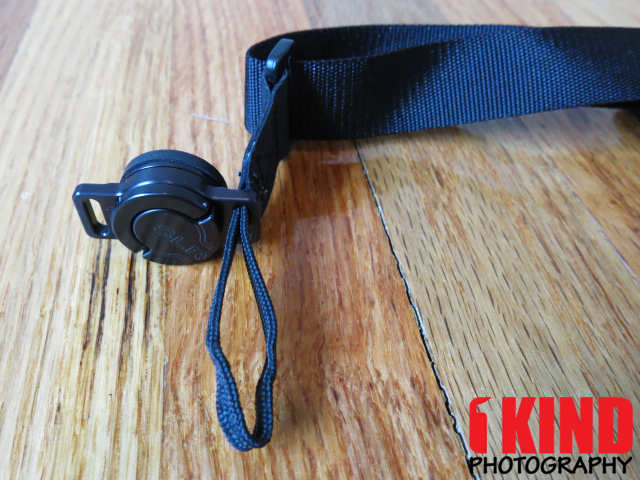 You can install the strap to the traditional strap loops on the camera eyelet that is on each side of the camera, C-Loop or on the left eyelet and the other on the bottom of the camera. 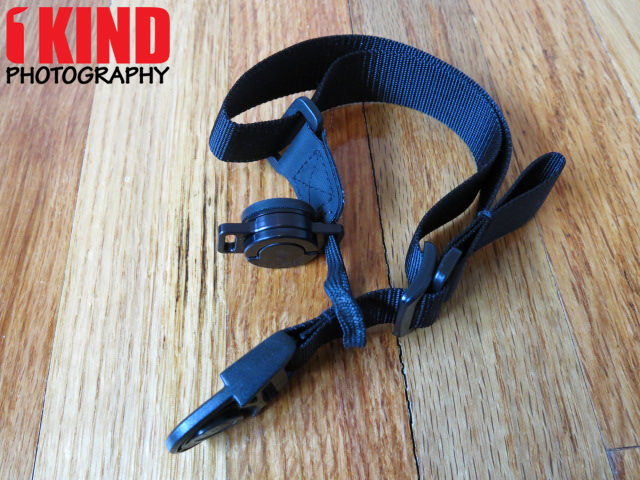 If you don't have a strap loop on the bottom of your camera, you can purchase a Custom SLR M-Plate Pro + Hand Strap Attachment which allows you to attach a strap or offset the placement of the strap. It is also Manfrotto RC2 and Arca-Swiss compatible. 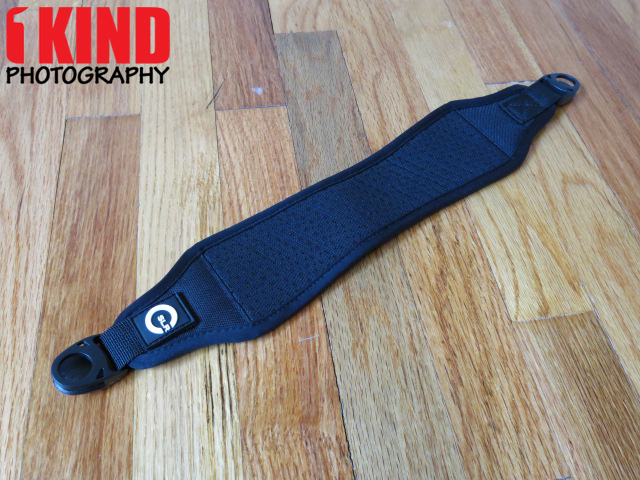 Conclusion : Overall, the Custom SLR Air Strap Camera Sling Strap is just as comfortable as the other Custom SLR sling straps. 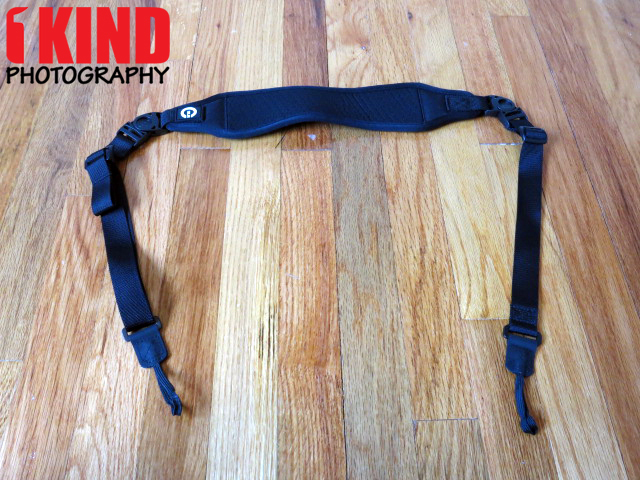 I'm starting to like straps that cinch since it moves the camera closer to your body and reduces less bouncing. The price is very affordable but if you purchase the C-Loop, it pushes the purchase price to about $60. Still a decent price and in line with other straps on the market. If you're not the type of person that feels comfortable hanging a camera upside down from the tripod screw mount, I highly suggest getting the Air Strap. Why strangle yourself or subject yourself to being uncomfortable when you can still attach the strap like the OEM straps and make it much more comfortable. 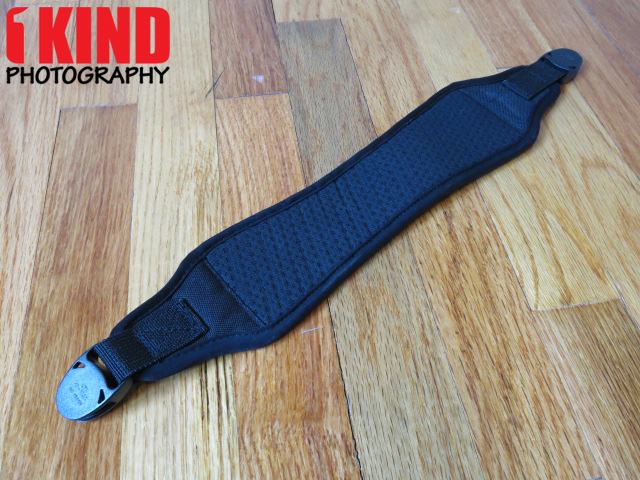 Deal: Think Tank Photo FREE Camera Straps Offer!